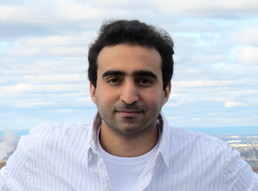 I am Mohannad Alharthi, a PhD student at the School of Computing, Queen's University in Kingston since Septemer 2014. I am a member of the Telecommunications Research Lab (TRL) under the supervision of Dr. Abd-Elhamid Taha and Dr. Hossam Hassanein. I hold a MSc. degree in Computer Science from the School of Computing, Queen's University (2014). I graduated in 2009 with a B.Sc in Computer Science from King Abdulaziz Uinversity (KAU) in Saudi Arabia. Interests include Software Defined Networking (SDN), networked Cyber-Physical Systems (CPSs), and modeling and simulation of CPSs and wireless networks.